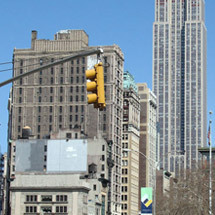 New York city has the largest concentrations of traffic signal controllers and traffic devices in the world. There are over 12,000 traffic controllers in the city. This huge number of devices puts a huge stress on the communications infrastructure within the city. NYCDOT decided to implement a proprietary cellular based wireless network (NYCWIN) to communicate to a variety of deployed field devices as part of the overall City transportation solution. This includes (a) ASTC intersection controllers, (b) RTMS vehicle detection, (c) CCTV cameras and (d) TransCore toll tag readers. All field equipment is connected to the wireless network by means of a combination modem/switch/terminal server provided by Moxa (the NYCWIN modem). The problem is random communication failure between field devices and the central computers. The reason for this is largely unknown, but more importantly, in almost all cases resetting the modems resolves the issue. Identifying problem connections and resetting them manually is becoming a resource intensive and costly exercise and the purpose of this project is to automate this resetting action by using technology. Applied Information developed a solution based on a Field Communications Monitoring Unit (FCMU) and cloud based Glance management software. Even though communications issues are experienced with all the various types of field devices this project will concentrate on providing a solution for the toll tag readers and as a secondary objective will provide a digital monitoring interface to the ASTC intersection controller.